On July 31, the last day of this summer’s legislative session, Massachusetts became the 11th state in the country – along with California, New York, South Carolina, Louisiana, and 6 others – to pass legislation enabling businesses to register as a new type of corporate entity: Benefit Corporations, or B-Corps. Benefit Corporations are companies which consider the public good – factors such as environmental sustainability and community benefit – in their corporate decisions rather than financial return only. Last Monday, my colleagues Deirdre Bohan, Jim Vercruysse and I joined State Senator Brian Joyce and other officials in the Great Hall of the State House in Boston to celebrate this new designation. Three days earlier, SMCo had formally registered with the Secretary of State as one of the first Benefit Corporations in Massachusetts (thanks to the efforts of Jessica Manganello and New Leaf Legal, who quickly and efficiently did the necessary legal work for us). The new law springs from a five-year effort by the B Lab, a non-profit group that certifies companies as “B Corporations” based on a variety of factors including corporate accountability and transparency, treatment of workers, community practices and environmental practices. SMCo was awarded B Corp certification in 2008, and 650 other companies have been certified to date in the U.S. and 14 other countries. Thousands of others are currently engaged in the process. Maryland and Vermont were the first states to create legal benefit corporations, in 2010. Since Massachusetts became the 11th, Pennsylvania and Illinois have become the 12th and 13th. D.C. is expected to vote favorably by the end of this year and 16 other states have legislative initiatives under way. Many of the votes have been unanimous; all have been bi-partisan (imagine that!). Until now, we have had no real standards to differentiate good work from good marketing. B-Lab provides exactly that. A recent article in the Harvard Business Review likened the B-Corp designation to LEED Certification among developers and the Fair Trade designation among product suppliers. Most importantly, this new standard extends the purpose of corporations beyond maximizing value for owners and shareholders (as existing statutes require) to combining the pursuit of profit with social purposes. It provides new latitude for corporate entities, especially public corporations. As the Globe said, “The idea of a benefit corporation is to weave some social responsibility into the DNA of the company itself through its charter.” It allows companies to avoid lawsuits from shareholders if the company, for example, does a pro-bono project to benefit its community rather than distributing money as dividends. The legislation varies slightly from state to state. In Massachusetts each Benefit Corporation must have a Benefit Director (who can be a Board member but is not an employee or an owner of more than 5% of the company) who files an annual report, and each company must be certified by an independent third party (which, in our case at least, is B-Lab). Several of the company owners at the State House said the designation codified what they had already been doing. For SMCo, it’s like gravity – the B Corp designation fits so closely with our mission that it is an obvious step to take. People, planet and profits all comprise our bottom line and this is a way to formalize it and make our corporate purposes align legally with our mission. The other early MA B-Corps represented (Dimagi, Inc., Dancing Deer Baking Company, The Green Engineer LLP, Social K) have similar philosophies. As Benefit Corporation legislation and the B-Corp idea gain traction around the nation and the world it indicates that a restorative, generative economy – one that we all know we need – is coming to life in the wake of the troubling times of the recent past. We are thrilled that the MA legislature and B-Lab have teamed up to make this opportunity available for Massachusetts businesses. We hope that we can live up to – and be a shining example of – the principles of the Benefit Corporation for decades, and for generations. And we hope many will join us. This is the future of business, an important part of a prosperous tomorrow. It’s a step toward good business that’s good for all of us. But is it good enough? Does being a B-Corp somehow signify that we’re doing what we need to do? No way – we’re babes in the woods when it comes to that. Not until we can say we’re a zero fossil fuel company (2015? 2020?) and a zero-waste company (2020? 2040?). Not until everything that we do is generative and restorative. But what the B-Corp system does is to give us a means of measuring progress, year after year, as we slog through the weeds of our constant desire to improve. Very interesting, & encouraging news. Can you give us a little idea, however vague, about the expense of registering with the state as a Benefit corporation, and how much the B-corp certification costs (which I think must be a recurring annual fee – yes?). You wrote that New Leaf Legal was quick and efficient with the legal work, but how would you describe the ‘hassle factor’ for your staff? E.g. did it take 10 hours of managerial or Board time? 50 hours? The process was simple. Legal and registration fees were under $2,000. Admin time was +/- 4 hours and Board time 30 minutes. “Certification fees are based on revenues. I’m fairly certain that Equal Exchange would qualify for our Social Business discount though, which would be a 50% reduction on these costs. 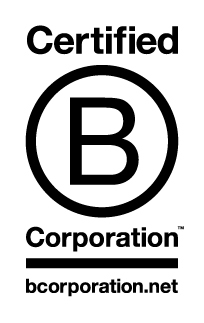 You can see the fee schedule at: http://www.bcorporation.net/become-a-b-corp/how-to-become-a-b-corp/120. We have, as you can see, been thoroughly satisfied with the services and work of B-Lab. What good news to read about B Corp just after listening to NPR’s report on the disheartening Right to Work law in Michigan. The background information about the long effort of conservatives such as the Koch brothers & CEO of Amway to defeat labor and work for profits as wages stagnate reminds us of how much needs to be done. Battles have to be won and rewon. I know that my middle class status is directly attributable to my coal miner father’s opportunity to earn a living wage. It was a hard won opportunity that took strikes and a strong United Mine Workers Union and work in perilous conditions. Winning the election was an important first step. Loved the great picture of SMCo workers. Have a restful and joyous holiday. Good stuff, John! Thanks for continuing to be a great champion. Hope you and yours are well. So cool! Thanks for writing/sending John!! Great blog, and hats off for being one of the first B Corps in Massachusetts; a vital role. You wield a lovely pen; not sure how you manage to do that and run a company at the same time! Thanks for the kind words, Marjorie. It’s pretty simple, really – a whole lotta help from a whole buncha stellar people here at SMCo! !